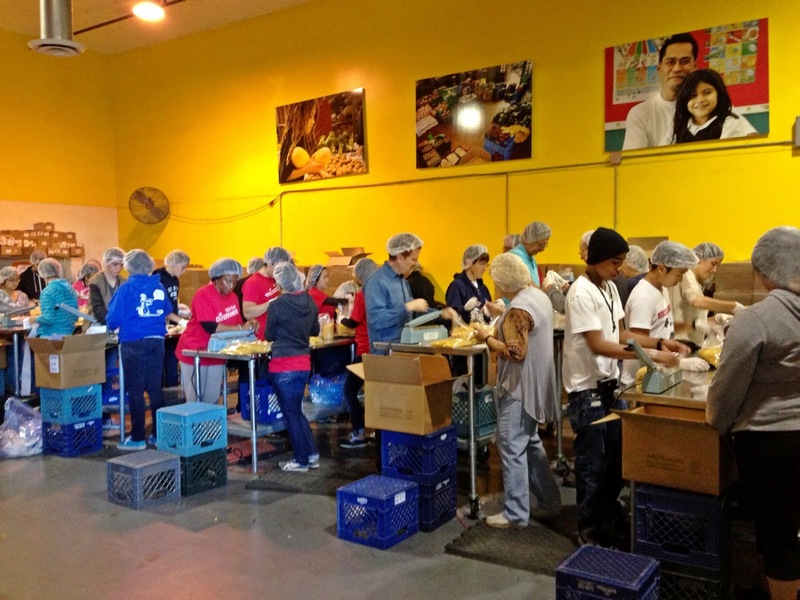 I recently visited the San Francisco Food Bank at the recommendation of one of PVF’s donors. During my visit I met with their Executive Director, Paul Ash, and Associate Director of Policy & Advocacy, Teri Olle, to discuss the systemic issues preventing higher participation in CalFresh, California’s food stamp program. The donor who introduced me thought I could gain some insight from a visit to the Food Bank because of their long involvement in hunger. PVF has been connected to CalFresh over the past year via the Code for America project we co-funded with San Mateo County. More information about this project can be found here. During my visit, I was surprised to learn that 60% of the food distributed at the San Francisco Food Bank is fresh. The volunteers were out in force sorting and packing the day I visited. This entry was posted in Uncategorized and tagged CalFresh, hunger, poverty, Where's James?. Bookmark the permalink.